Ringling Bros. presents "Legends" in the July 9th-August 3rd! 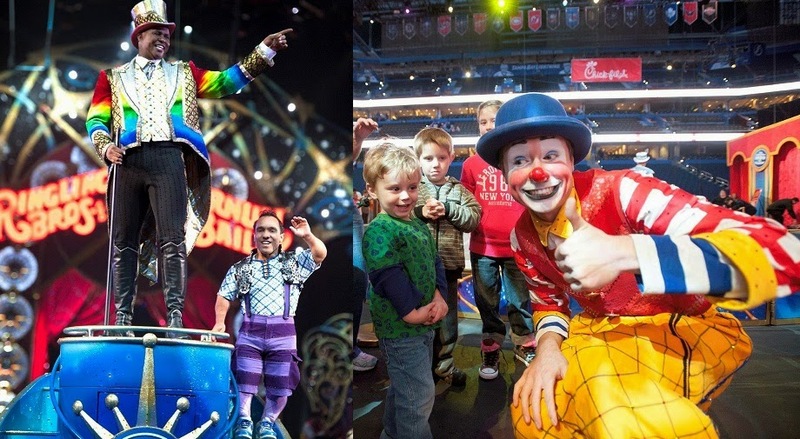 Ringling Bros. is BACK in the Los Angeles area from July 9th thru August 3rd! Don't miss this amazing show featuring over 100 talented performers spanning from all over the globe. There is definitely something for the whole family to enjoy. Our personal favorites are the graceful China National Acrobatic Troupe, the Globe of Steel motorcycle daredevils and the silly, yet endearing, Ringling Clowns. Be sure to attend the interactive pre-show, included with ticket purchase, where families can step onto the arena floor to meet performers, learn circus skills and try on costumes! My daughter still remembers dancing with all the entertainers and trying on a sparkly circus leader jacket. Tickets are sure to sell out so click on this link and purchase yours today!